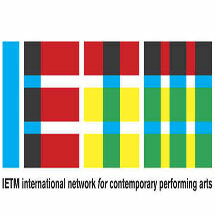 Project Arts Centre and the local IETM Dublin 2013 team are inviting proposals from performing arts professionals living and working on the island of Ireland across both the content and artistic programmes of the IETM Spring Plenary meeting in Dublin. The closing date for submitting any suggestions you have for IETM Dublin is Tuesday 4 December at 5pm. If you have any questions please contact Amy O’Hanlon:[email protected] or call 01 881 9629. IETM Dublin 2013 is an initiative of the Arts Council of Ireland in partnership with Culture Ireland, produced by Project Arts Centre and supported by Fáilte Ireland. It is part of both the Arts Council’s and Culture Ireland’s cultural programmes to mark Ireland’s Presidency of the Council of the European Union. One Response to "IETM Dublin 2013 – Open Call"
Reblogged this on Elga Fox.